Ricky Ricky Short Stories Volume 1 due for release on September 15th 2017. Ricky Ross solo tour on sale for November/December 2017. Lots of new MP3s coming to the site soon. Keep checking here for the latest files. Deacon Blue Live At The Barrowlands released on March 31st 2017. New Deacon Blue album - 'Believers' was released on September 30th. Deacon Blue released 'The Hipsters' on 24th September 2012. Find out more about the album here. Order your copy here or from iTunes. Download a bonus track 'This Year's Drug Of Choice' from iTunes. Download a bonus track 'There's Nothing For Me Here Now' from the official site. All of Deacon Blue's albums previously released by CBS/Sony were reissued by Edsel Records in October 2012. Tracklistings (and links to order them) can be found here. 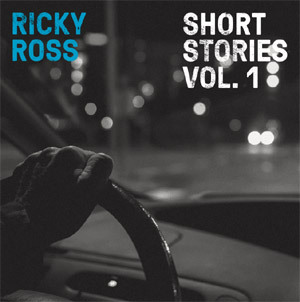 A brand new Ricky Ross track, ' The North Star' was released on 26th June 2012 as part of the soundtrack to Whatever Gets You Through The Night. Deacon Blue Christmas EP was released on December 15th 2013. Order your copy from Amazon here or from iTunes. Deacon Blue released a new album - 'A New House' in September 2014. Thanks to Neil Parry, Angel, Dougie Adam, Rich Waldron and Ricky for their help with many of the setlists on this site.